Betta Fish and Betta Fish Care > Betta Care > Planted Betta Tanks > Planted Tank Show and Tell!! Planted Tank Show and Tell!! Lately I have noticed a lot of people showing off their planted tanks, figured it might be a good idea to have them all in one place. Also, I am trying to get some ideas for rescaping my 26 bowfront sorority. I'd love to see everyone else's tanks and find out what all you have going on with them! Much harder to photograph now that the water lettuce has taken over. In real life it looks so much more amazing. 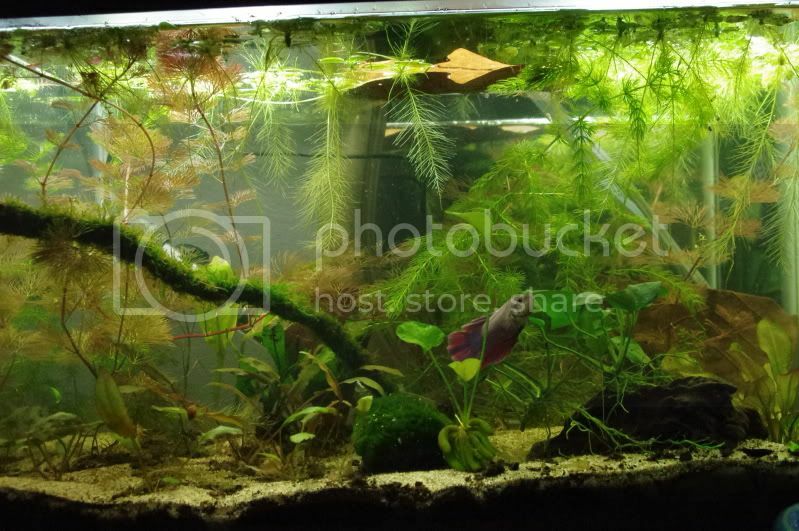 I personally love the overgrown look, and feel as though they are the best for a sorority (though this contains only a male and some ghost shrimp) as then everyone can find their own space. However, the fish can be hard to find. Even my giant here disappears, and goodness knows I only find the shrimp if I really stir stuff up or put some good food in the tank. Gariana, Cat2015, Schokomingo and 3 others like this. Remember that the tank your fish lives in is his or her's whole world. Ask yourself this question, and answer it honestly: would you choose to live there? Great idea! I am subbing this thread! 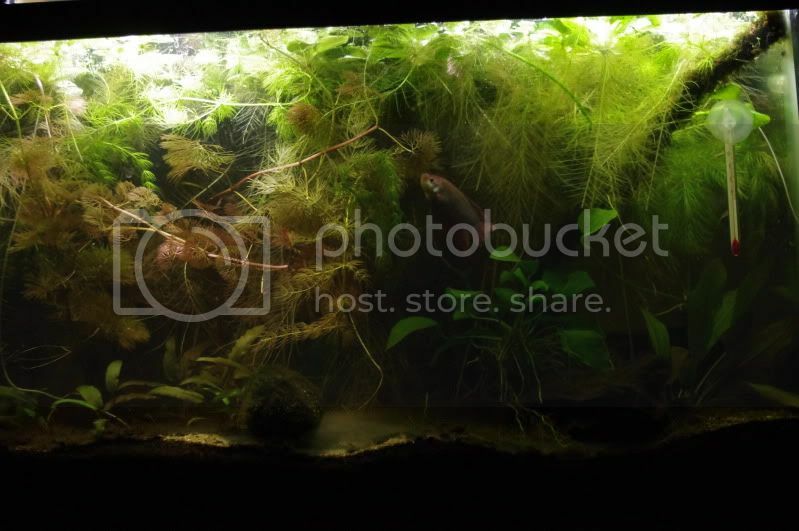 :D I want an envious live plant tank! Its not a NPT but itsd got lots of live plants!! Come on guys! Let get this thread going! Also, I have a question for you planted tank enthusiasts... I'd absolutely love some pearl grass in my tanks. I'm not sure what kind of light I have to be honest, whether it's low or medium. I'm running 3 x 6400K LED tubes on each tank, equating to 3.75 watts per gallon... Is that enough light for that? Eep! Last edited by Sparrowhawk; 02-21-2013 at 06:58 PM. where did you get your leds from?